Neumann University is a private, Catholic establishment which emphasizes respect for individuals, concern for the environment, and social responsibility. The University offers undergraduate degrees in a broad variety of subjects, three doctoral programs, six master's degree programs, and an accelerated bachelor's degree program for adults. Additional to the social and academic missions Neumann University emphasizes, it now fields 24 NCAA athletic teams, is home to eight arts groups, and has three residence halls that accommodate more than 750 students. The student-faculty ratio of 15:1 allows professors to provide the personal attention many students require. 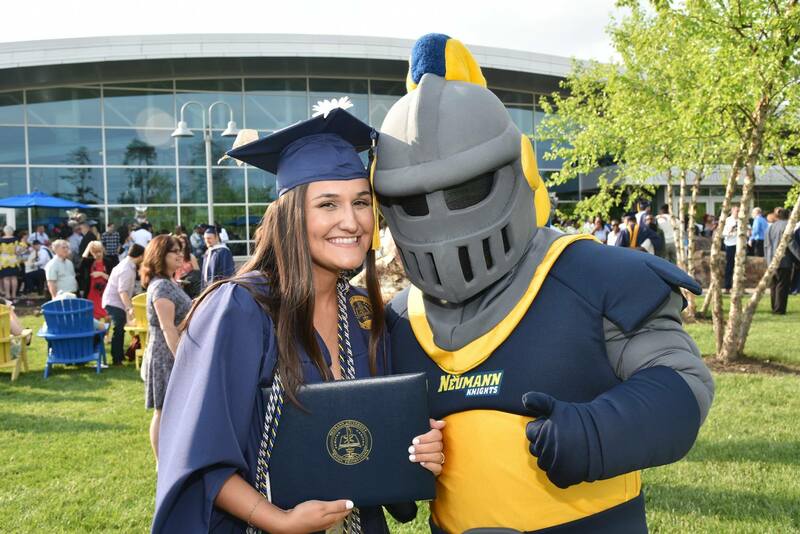 With a modest start of 115 students, Neumann University now boasts more than 2,700 students and has more than 13,000 living alumni. The Office of Student Activities sponsors services, programs, activities, and events that further the mission of Neumann University and enhance the quality of campus life. African Student Association The ASA is a club that is centered on educating students on African customs and culture, spreading awareness of the current events pertaining to Africa, and giving back to the African community at large. ENACTUS: The Enactus organization encourages students to use their entrepreneurial skills to work on projects that empower people. Along with clubs and organizations, Neumann hosts 22 intercollegiate men's and women's sports, which include but are not limited to: baseball, basketball, field hockey, golf, ice hockey, lacrosse, soccer, softball, tennis, and volleyball. There's something for every student at Neumann University, and if for any reason you don't find it, we encourage you to create it! 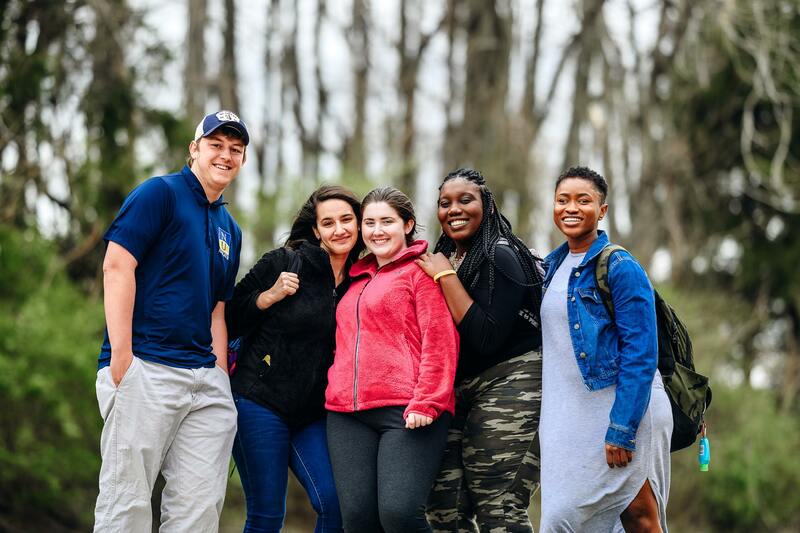 Neumann University faculty and staff knows international students are very focused on mental and physical well-being, and the school is with students every step of the way. 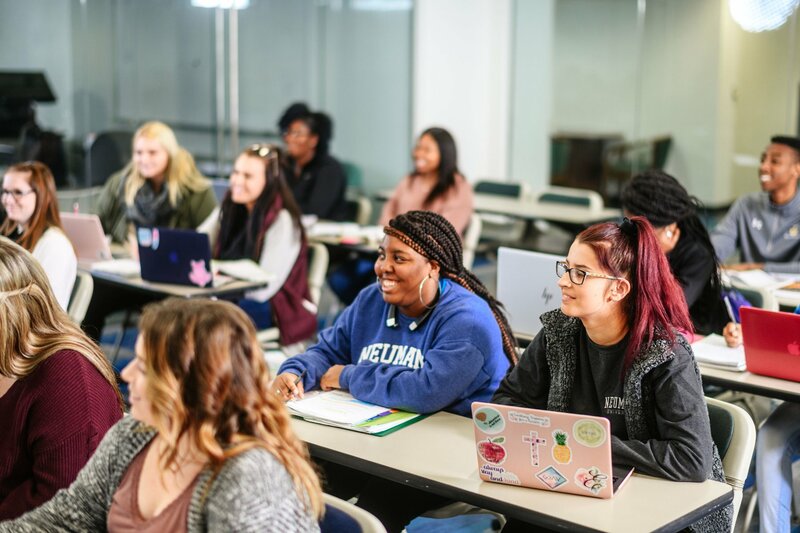 Neumann University boasts small class sizes that allow for students to receive the individual attention they need to achieve academic and personal goals. The Office of International Studies Education was created to assist international students with questions regarding government regulations, social and academic adjustment, personal matters and other concerns. The University offers counseling services, tutoring assistance, campus ministry, and student activities to help students utilize time at Neumann in the most productive ways. From providing pick-up at the Philadelphia airport to assigning students a personal academic advisor, Neumann has it covered. Neumann strives to make a quality education in a private university affordable. 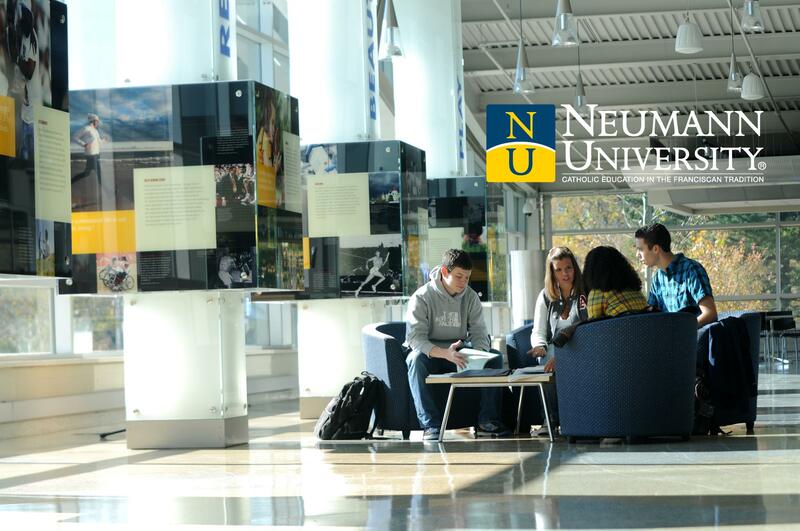 Neumann University prides itself on making a quality, private education affordable. The school offers academic and other scholarships, as well as awards to F-1 international students based on the applicant's academic record and other factors. Additionally, Neumann offers all full-time degree-seeking international students the option of working on campus up to 20 hours per week, as allowed under the terms of their student visas. All of these available options are offered in order to make enrollment at the school more attainable for international students. Within the schools of study, there is a subject and success for everyone. Neumann being known for having exceptional programs in Nursing and the Sciences. A brand new high-tech Health Sciences Center. Radio and TV studios that offer new and existing students alike immediate hands-on experience. Neumann's Business, Criminal Justice, and Education faculty brings professional experience into the classroom. Neumann University Education and Human Services department provides a solid foundation of research, best practices, and current research combined with a robust field experience sequence that starts in freshman year. The school's graduate programs in Education offer a number of different tracks for state certification, endorsements, professional development, and/or career advancement, and the graduate program in Counseling is unique in its integration of spirituality and psychology in preparing future counselors to offer dynamic, holistic forms of healing and guidance. In order to maintain Neumann University’s Mission and Vision Statements, the purpose of the Nursing Program is to enhance professional nursing practice and foster the provision of quality nursing education and care in the Franciscan tradition to persons of diverse populations, in preparation of all life circumstances that may occur. Within the Health Sciences realm at Neumann, students can specialize in Strength & Conditioning, Exercise Physiology, Pre-Athletic Training, Pre-Occupational Therapy, and Pre-Physical Therapy. Faculty members of the Health Sciences Department have an open-door policy and make time to answer any questions. There are three Business Administration tracks offered at Neumann: Human Resources, International Business, and Finance. Neumann is proud to report that 76% of our Business Administration graduates are employed full-time or enrolled in graduate school. The staff of the Business Office promotes the mission of the University by affirming the dignity of each person that the Business Office services. Courses that are taught by skilled ex-industry professionals. International students are choosing to study at Neumann University for many reasons. 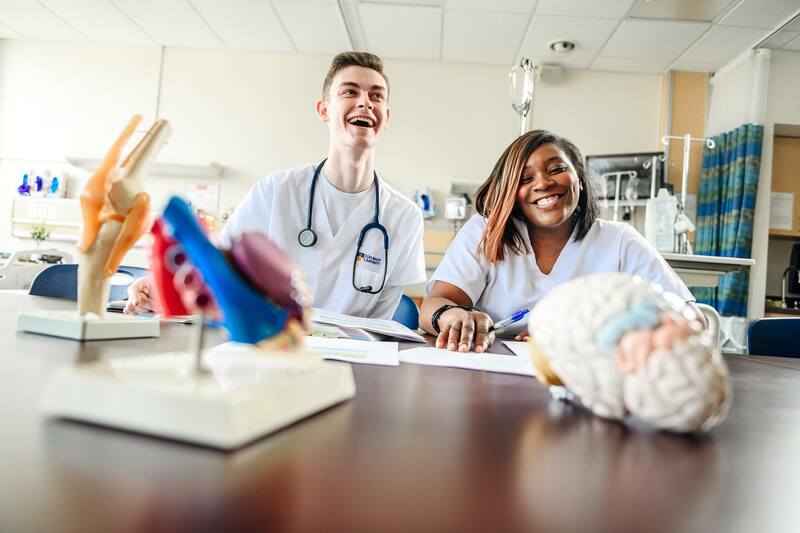 Neumann University offers a comprehensive education that provides students with a strong foundation and prepares them for a professional career. The university offers a variety of excellent graduate and undergraduate degrees within the Arts and Sciences, as well as highly regarded degree programs within our integrated professional divisions: Education and Human Services, Nursing and Health Sciences, and Business and Information Systems. With Neumann’s philosophy, mission, and commitment to their students, emphasizing the relationship between learning and the development of the total individual, students learn the skills and gain the knowledge needed to succeed anywhere in the world. A Welcoming Campus Community - International students on Neumann’s campus will not get ‘lost in the crowd’. The university’s manageable size and welcoming, supportive faculty and staff make all students feel at home very quickly. Current international students mention that they are particularly grateful for the hospitality of the Franciscan Sisters in our community. Comprehensive Academic & Support Services - The intimate size of the campus means that students will receive the individual attention needed to achieve academic and personal goals. From campus ministry to student activities and from counseling services to tutoring assistance, Neumann offers the services students need to thrive in their new campus environment. The Office of International Studies Education was created to assist international students with questions regarding government regulations, social and academic adjustment, personal matters, and other concerns. From personal pick-up at the Philadelphia airport, to a personal academic advisor - Neumann's got you covered. Strong Athletics - Neumann University fields 21 teams with approximately 300 student-athletes competing in the National Collegiate Athletic Association (NCAA), Division III. Some of these sports include: baseball, basketball, field hockey, golf, ice hockey, and many more. Club teams are also offered. 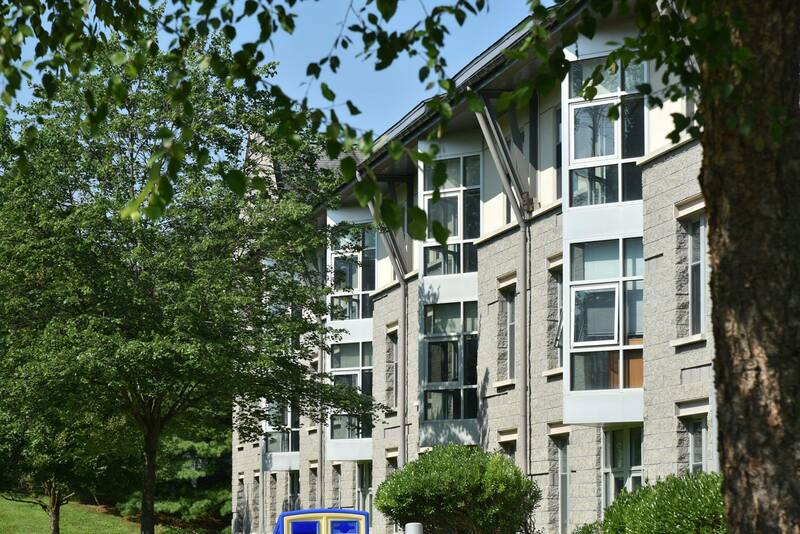 Residential Campus - Neumann University is located in Aston, Pennsylvania, a quiet and safe residential neighborhood, 30 minutes from Philadelphia. On-campus housing in secure student dormitories is an option, if reserved well in advance. 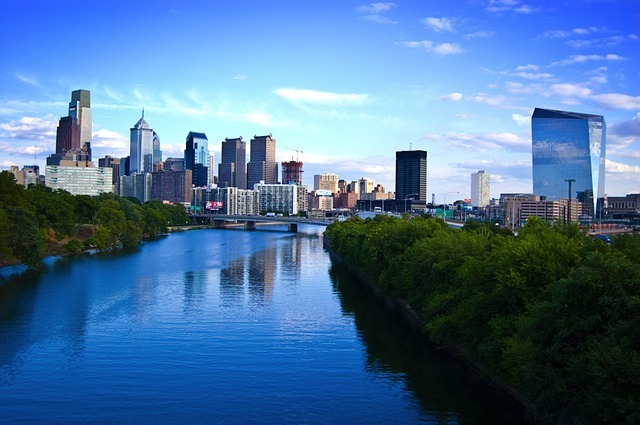 Close to a Major City and an International Airport - Philadelphia is the 5th largest city in the United States and is conveniently located between New York City and Washington DC, both of which are approximately a two hour direct train ride away. The Philadelphia International Airport is only 20 minutes from the campus. A Wide University Community - Philadelphia is home to over 50 colleges and universities that are a great social and personal support network for international students. 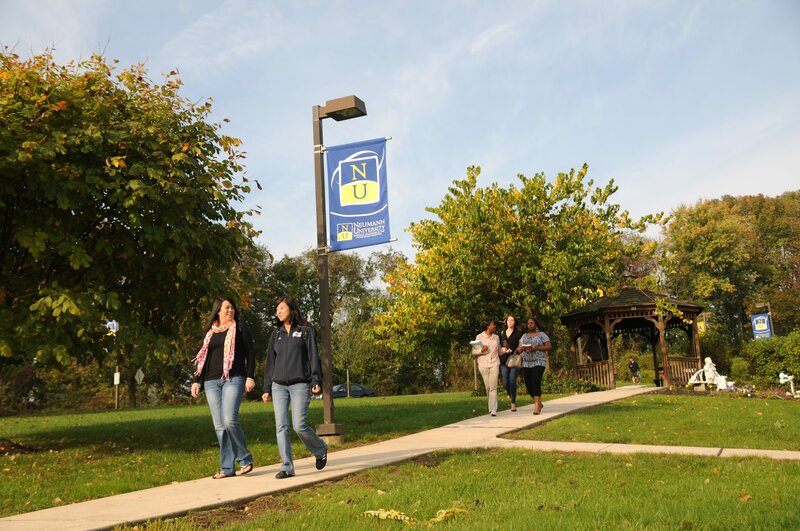 Neumann University is located in the heart of the Delaware Valley in Aston, Pennsylvania. Neumann University is located in a quiet and safe residential neighborhood, yet is also only 30 minutes from Philadelphia and its endless sports, cultural and historic activities. Less than 10 miles south is Wilmington, Delaware, which offers its own cultural advantages, including access to the Wilmington Blue Rocks, a Class "A" minor league baseball team. The New Jersey and Delaware beaches are also within a two hour drive. Most of its surrounding major cities are considered international hubs for students and families. Close proximity to major airports. Philadelphia is the 5th largest city in the United States and is conveniently located between New York City and Washington DC, both of which are approximately a two hour direct train ride away from the school. Neumann University opened our new Data Lab as we launch the Data Analytics and Cyber Security programs! On January 9, 2019, Neumann launched its first ever Data Analytics Lab. 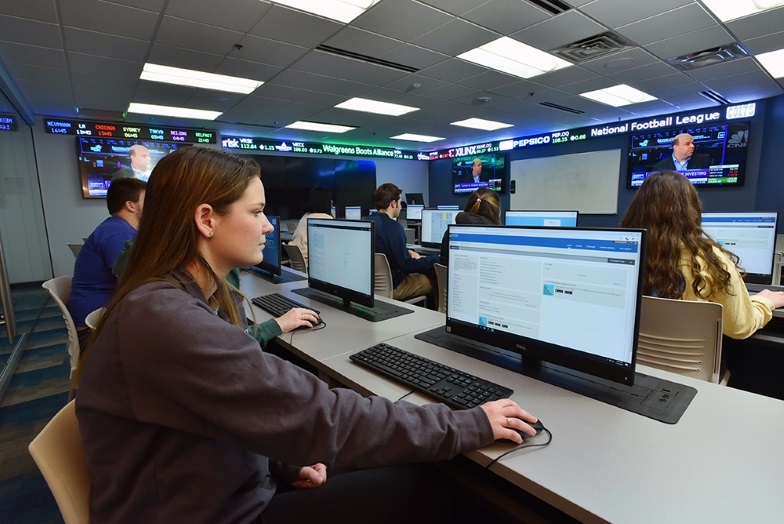 The brand-new Data Analytics Lab features state-of-the-art technology, which will be the focal point for the two new degree programs that Neumann will be launching in fall 2019: Data Science Analytics and Cyber Security. The Data Analytics Lab features a live stock-market ticker which will be useful to students entering Neumann’s Data Science and Analytics major. These students will learn computer programming, database systems management, and data analysis. Students entering Neumann’s Cybersecurity major will be provided with a background in network security, operating systems, cryptography, incident response, secure programming, vulnerability analysis, social engineering, as well as governance and risk assessment.